Crazyno Casino - Get the Excellent Bonus Offer & Sign up Today! It is going to be simple and beautiful. Crazyno is certainly going to be accessible on mobile phones and tablet. This feature is no longer negotiable if you want to keep up with the competition in the industry. 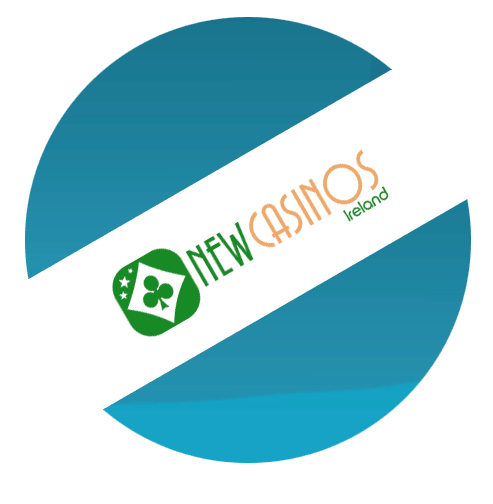 Definitely, Crazyno is launching to become one of the most popular choices for Irish players. Therefore, it is going to take more than just a beautiful platform to keep Crazyno in the game. Firstly, Crazyno will be managed by the same team that is currently in charge of some top brands such as Slotszoo; Ridika etc. A visit to any of these brands will give you a clear idea as regards what to expect from Crazyno. These platforms feature a huge selection of games from top providers. Likewise, a few top providers are also missing. Whether or not Crazyno will make up for this lapses is still unknown. As already mentioned, the other sister brands missies out on a number of key features. This includes a few selections of payment options. Hence, it would be a big deal to see some new additions when Crazyno launches in a few weeks. Also, there is a huge omission of games from some top providers like NetEnt and Yggdrasil. Hence, there are no titles like Starburst; Book of Dead; Jumanji; Jungle Jim; butterfly Staxx; Aloha Cluster Pays; Avalon and many other popular games. Certainly, this is already heartbreaking. However, if Crazyno can fix this, there is no doubt that it would be a huge plus for them. Furthermore, Crazyno would also likely feature a Master License from the Government of Curacao. The inclusion of a UK license or other top licenses is also very unlikely. In this regards, they are surely going to offer a big casino bonus. We are looking forward to a huge welcome package in the range of €1000 to €4000. We are really confident about it because the operators of Crazyno have a track record of being very generous. For example, Ridika offers a welcome package that is up to €2000 and 66 extra spins over the first 3 deposits. Slotszoo, on the other hand, offers up to €1600. Finally, Gale & Martin offers the highest welcome package up to €4000 plus 100 extra spins. From what we have seen, each of these platforms offers something different. However, they offer something good. Hence, we are very confident that Crazyno will offer something really juicy. Also, the wagering requirement would be in the range of 30 to 40 times. The welcome bonus would be great. However, the promotional offers would be better. Players love bonuses and promotions offer such chances to get back on your feet each time you fall. Certainly, Crazyno understands this. Hence, the platform would feature lots of promotions from time to time. There should also be a VIP loyalty program. That way, players can always look up to something or have more reasons to stick around a little longer. Moderate is the best adjective that can be used to describe the selection of games on Crazyno. Although this is only just speculation and slots, it would be difficult to see them hit up to a thousand titles. Therefore, we are expecting to see just around 500 games for a start. From time to time, the numbers would certainly increase the following new additions. Also, Crazyno would be suitable for mobile phone user. The website is optimized and uses full HTML 5 to ensure a seamless time. More importantly, Crazyno might miss out games from some top developers such as NetEnt and Yggdrasil. This means that you would omit some big titles such as Berryburst; Coins of Egypt; Legends of Cleopatra; Gonzo’s Quest and several others. Meanwhile, you will find a huge selection of games in various categories that would include live casino games; video poker; micro bet; video slots; starburst etc. From the information that we have received, they may not offer up to or more than 10 different payment options. However, their selection would include some of the safest and fastest payment alternatives. Likewise, support would be available 7 days of the week. In a few weeks or days, a new ‘crazy’ looking online casino is going to hit the market. If you want to get the best out of Crazyno, you have to stay tuned. Meanwhile, have a look at the other new online casinos 2019. Another great brand that recently updates its welcome offer for UK players is Genesis Casino.